View of the Winemaking Facility and Restored Barn and Silo from the Northwest Elevation. 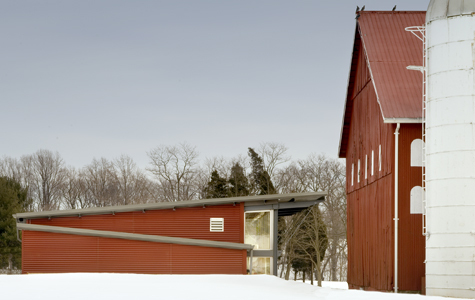 Located on the Agricultural Reserves in Montgomery County, Maryland, Sugarloaf Mountain Vineyard returns a Historic Bank Barn and Silo to agricultural use by producing superb, handcrafted wines within a new, state-of-the-art Winemaking Facility. Metal and Glass Facade allows an element of Transparency into the Winemaking Process. 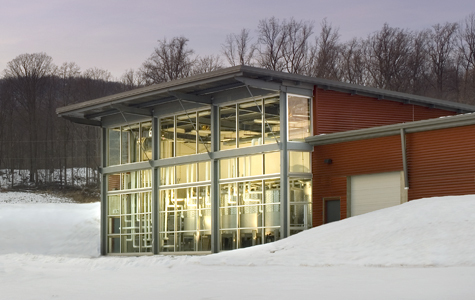 The new metal and glass facility is partially banked into the earth and faces onto a new forecourt, emitting a soft glow at night from within the glazed fermentation room as a beacon for the Vineyard, while the renovated barn includes public and private tasting areas as well as winery offices. 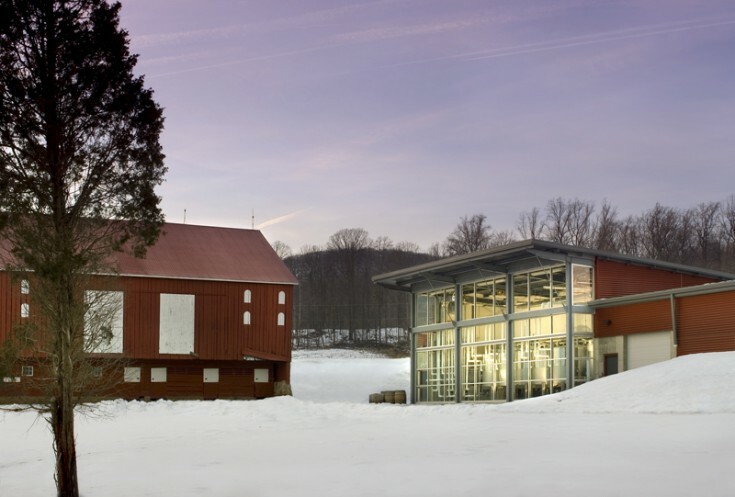 The winery has been featured in the New York Times, and has received five American Institute of Architects Awards.